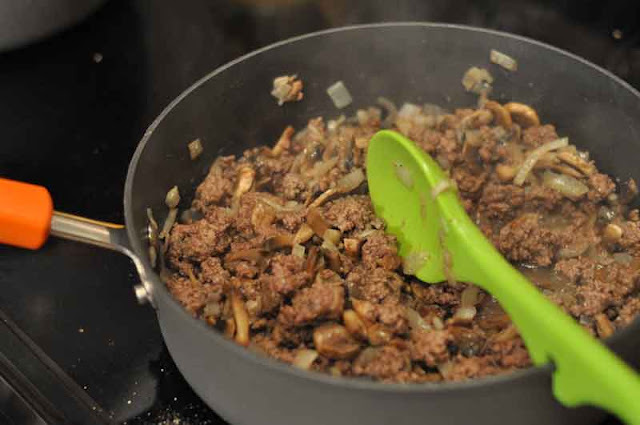 So the best thing to do to start this out… Saute up your onions and mushrooms. Once they are cooked, brown up your hamburger. 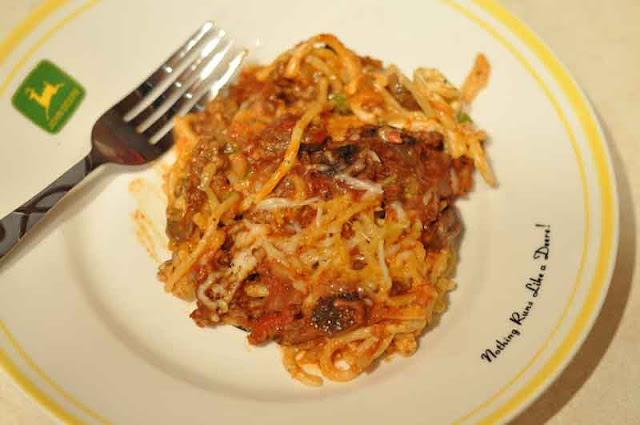 Once your hamburger is browned up, add some spaghetti sauce. As you can see I went with Fire Roasted Sweet Red Pepper. YUM! While the hamburger is doing it’s thing, start a pot of water to boiling and cook the pasta according to package directions. My directions said to cook for 10 minutes. 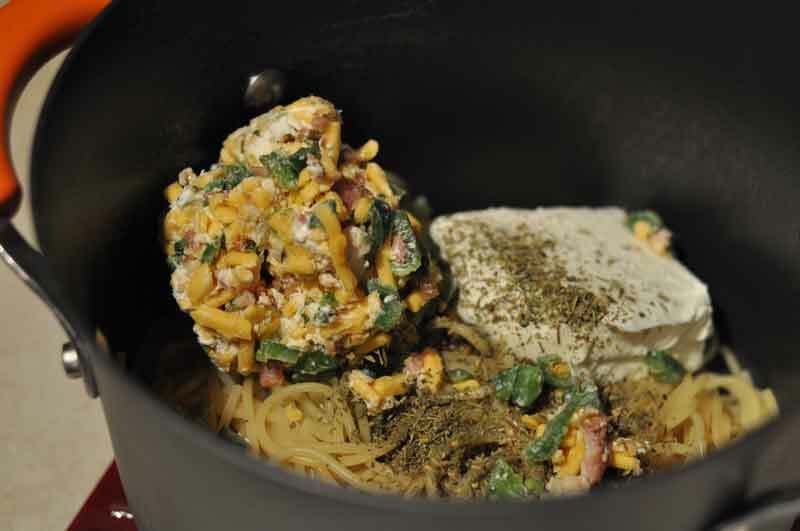 Once the pasta has cooked, drain and add one block of cream cheese & pepper. Now I had some left over cream cheese mixture from my Jalapeno Stuffed Chicken Breasts so I threw that in and half a block of cream cheese. 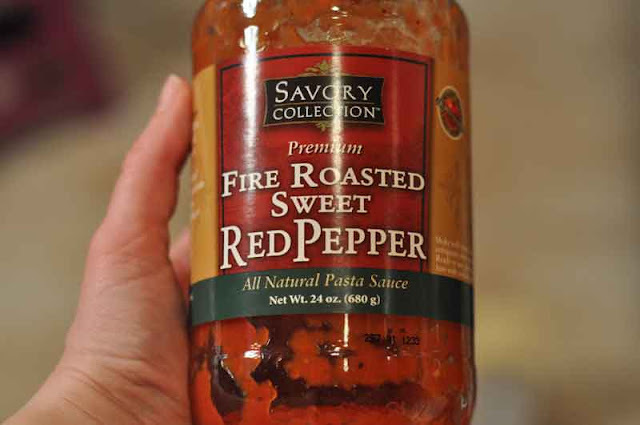 It added some great flavor but if you don’t have that, just add a full block of cream cheese. Make sure to mix this together real well. 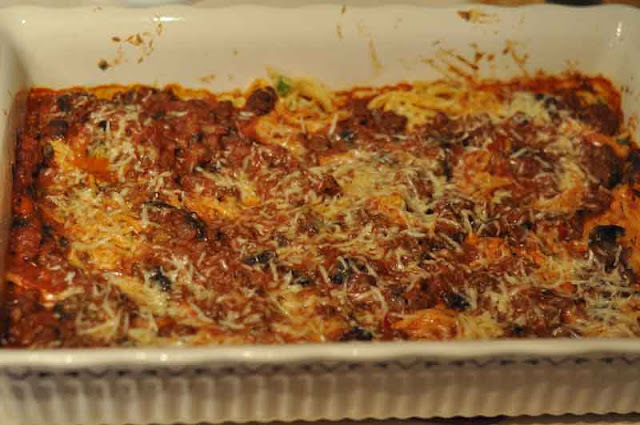 Next you’ll layer the pasta/hamburger mixture with the pasta mixture. 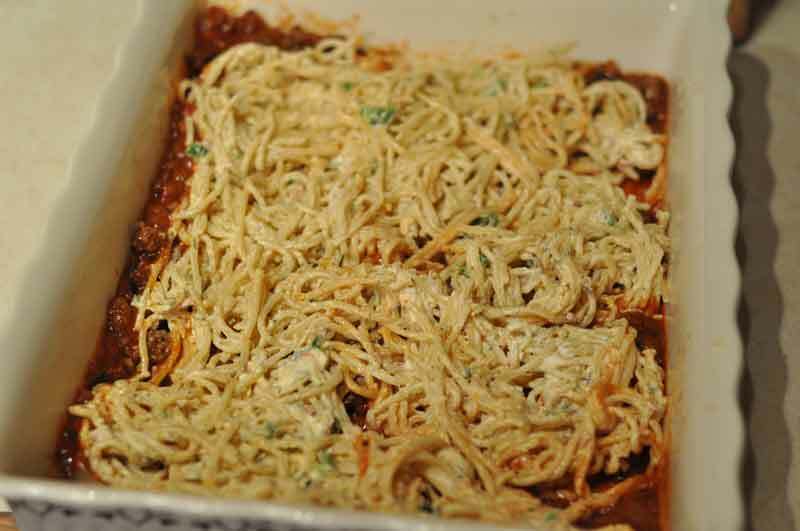 Put 1/3 the spaghetti sauce mixture, half the pasta, 1/3 the sauce mixture, the rest of the noodles and finish off with the last 1/3 of the sauce. Next top with cheese and stick in a 350 degree oven for 15-20 minutes to melt the cheese. We’ve learned that if you’ll broil the cheese on top, you’ll get a great nutty flavor on top. And there ya have it. 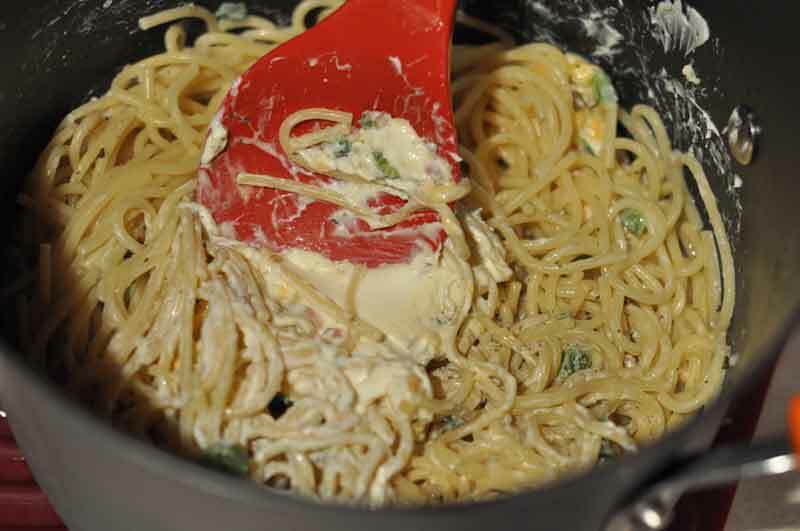 A fabulous piece of Cream Cheese Spaghetti! YUM!